The sprogs have both been ill, with various bits and pieces, these past few weeks, which means that my days have disappeared in a blur of antibiotics administering, snotty nose wiping, eyedrop dispensing, multiple night-time wakings soothing and generally feeling pretty knackered myself. There’s not been much time for blogging. Or thinking. Or brushing my hair. So when I stumbled across photos of a beautiful garden when doing some research for my course, I was immediately tempted to go and visit it and have a nice day off. Then I realised that it was in France. Hey! Even better! 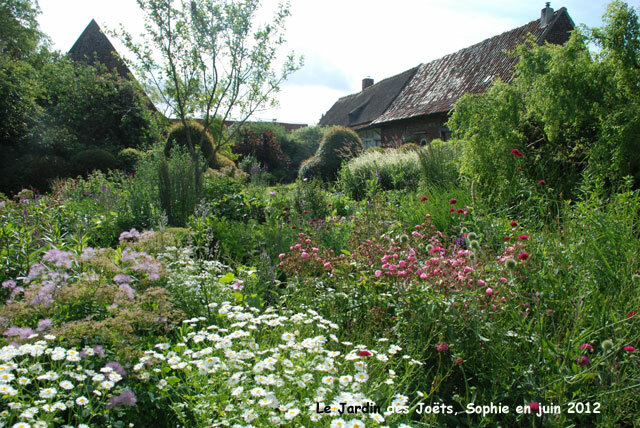 A quick Google later and I’ve discovered you can get the ferry to Dunkirk and then drive for 30 minutes and be in Eecke, the home of Le jardin des Joets. Ferry timetables are being consulted, cars are being booked, the surrounding neighbourhoods examined for friendly looking B&Bs. Meanwhile, I just had to share some of these photos with you as they are, in essence, my absolute dream garden. In these still rather cold and dreary early March days, I find it deeply cheering to look at a garden in full bloom and dream of the drowsy bee-filled summer months. 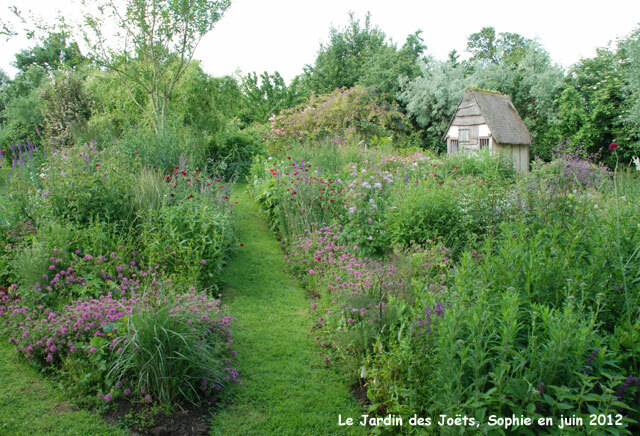 All photos from a rather brilliant French website, Le jardin de Sophie. 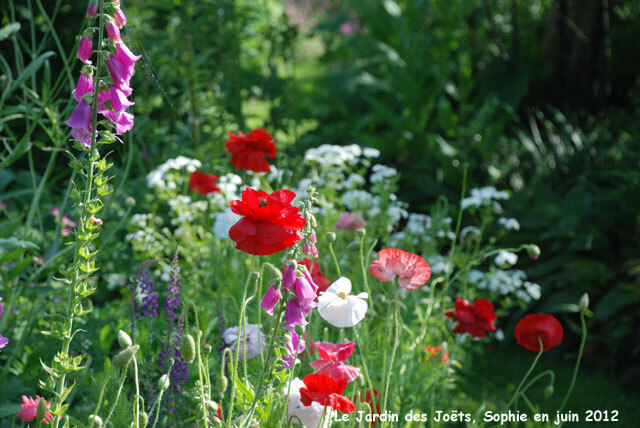 Do head over and take a look, there are lots more wonderful pictures to tempt you to book your place on a ferry too: Le jardin des joets. *Events going on in my student days could probably be summarised with: making supper, smoking a cigarette, going out in Bristol and getting steamingly drunk. Ah it’s been a ridiculous winter for illness. A month on, a month off where the kids are concerned… A nice break in France is just what’s needed! Those pictures are a tonic. It’s hard to remember the warmth of the sun on your skin and being outside until 10, this time of year.